Dr. Joanna Henderson is a Clinician Scientist and Director, Margaret and Wallace McCain Centre for Child, Youth & Family Mental Health, CAMH and Associate Professor, Department of Psychiatry at the University of Toronto. Dr. Henderson is a Lead Investigator on a number of provincial and national initiatives focused on understanding the developmental context for youth substance use and mental health problems, optimal interventions to address these concerns, and the health system changes required to improve care and outcomes. Dr. Henderson’s additional research interests include trauma, youth risk-taking, help-seeking behaviour, and innovative models of knowledge translation and exchange. 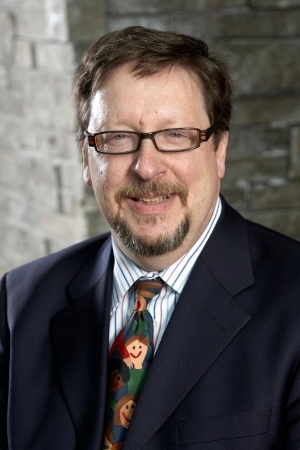 Dr. Peter Szatmari is Chief of Child and Adolescent Psychiatry at Sickkids, CAMH and University of Toronto. He was a key member of the original Ontario Child Health Study, is on the ICES Scorecard Advisory Board and has consulted to the MCYS on several occasions. He has led several large research programs in the past including the Autism Genome Project (which involved 175 scientists from over 20 countries) and the Pathways in ASD project which is a multisite longitudinal study of over 400 children with ASD (the largest follow up study of ASD in the world). Dr. Kristin Cleverley is a Clinician-Scientist in the Margaret and Wallace McCain Centre for Child, Youth and Family Mental Health at CAMH and the CAMH Chair in Mental Health Nursing Research at U of T. She is also Assistant Professor in the Lawrence Bloomberg Faculty of Nursing and Department of Psychiatry at U of T. Dr. Cleverley’s clinical and research interests include child and youth epidemiology; understanding transitions from child to adult mental health services; and patient and family engagement in mental health research. She is currently Principal Investigator on the Longitudinal Youth in Transition Study, exploring how youth experience transitions in the mental health system. Dr. Amy Cheung is an Associate Scientist, Evaluative Clinical Sciences, in the Hurvitz Brain Sciences Research Program at Sunnybrook Research Institute and an Associate Professor, Department of Psychiatry, U of T. Dr. Cheung's research focus includes adolescent depression and community-based service delivery models for patients with persistent and severe mental illness. She is currently heading a North American collaborative examining barriers to the appropriate diagnosis and treatment of adolescent depression in the primary care setting, which includes developing and disseminating depression management guidelines. She is also examining the prevalence of adolescent depression and suicide in Canada and factors influencing service utilization. Gloria Chaim is Associate Director, Child, Youth and Family Services, and Head, Community Engagement and Partnerships, Margaret and Wallace McCain Centre for Child, Youth & Family Mental Health, CAMH and Assistant Professor, Department of Psychiatry at the University of Toronto. Along with Dr. Joanna Henderson, she is Project Lead on provincial and national Health Canada Drug Treatment Funding Program projects, focused on understanding youth substance use and concurrent mental health needs in local contexts, identifying gaps and opportunities for service enhancement and improving pathways to care for youth and their families through development of cross-sectoral collaborative networks and innovation. Dr. Lisa Hawke is a Project Scientist with the Margaret and Wallace McCain Centre for Child, Youth and Family Mental Health, at the Centre for Addiction and Mental Health. Her main focus is the coordination and execution of the YouthCan IMPACT initiative and research project. She also contributes to various other projects at the McCain Centre, such as conducting a review of youth friendliness in mental health and addictions services and supporting trainees on a variety of projects. Her research interests include complex comorbidity in mental health, stigma, peer support, and community-academic partnerships. (L to R) Back row: David O'Brien (EMYS), Joanna Henderson (CAMH), Peter Szatmari (CAMH), Amy Cheung (Sunnybrook), Lisa Hawke (CAMH). Front row: Susan Dickens (CAMH), Filomena D'Andrea (Skylark), Jackie Relihan (CAMH), Emma McCann (CAMH), Lynn Courey (Sashbear), Gloria Chaim (CAMH), Heather McDonald (LOFT), Kristin Cleverley (CAMH).